Written by Travel Excellence Costa Rica history in technology is growing. The country will be part of the World Robot Olympiad by presenting a recycling robot. Rónald Valverde, Luis Fernando Valerio y Yhojan Ramírez (ITCR students) are the names of the contestants to participate in the WRO this November18th, 19th and 20th, taking place at Abu Dabi, in United Arab Emirates. 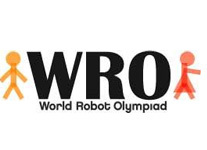 In its 8th edition, like the previous editions, the WRO wants to promote the innovation and creativity among young people around the world. “Solving robotic challenges, promotes innovation, creativity and the skills for solving problems in the students. In addition, the robotic is multidisciplinary” said the organization in their official website. Thanks to this, students are able to apply their knowledge in science, engineering, mathematics and programming, which are the courses they have to carry out at the Instituto Tecnológico de Costa Rica (ITCR), which according to Costa Rica Facts is one of the toughest universities in the country. These students major at the ITCR are Mechatronics Engineering. According to the WRO 2011, there will be 1000 students from 38 different countries distributed in three categories, each category with a different challenge. The contestants from the open category will have to create a robot that helps improve human life. The other two categories, determined by age, consist on creating a robot capable of climbing and building a prototype capable of recycling. According to Julio César Romero, professor of robotic and team’s coach, the “ticos” are in the category that goes from 16 years old to 19 years old and their challenge is the recycling prototype. Their prototype should be able to make functions related to velocity, coordination and organization of elements. Also, the prototype has to present light sensors among others to be able to walk and move, since the contest asks that the robot can be able to recognize colors and sizes to classify a serious of elements in different containers. Along with the beauty of nature, rich mix of cultures and lots of traditions we can find a remarkable education. Education in this country is definitely one of the best travel deals to Costa Rica.